Designed to be carried as a belt knife. 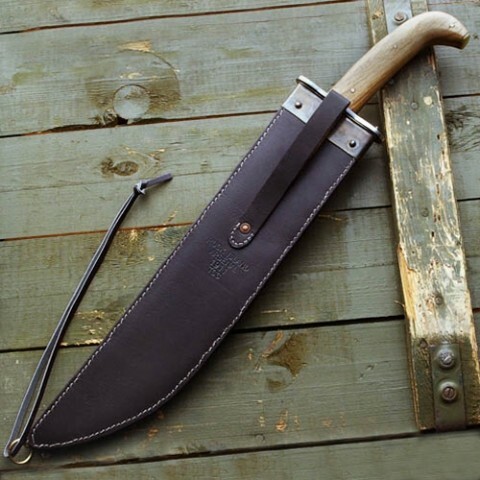 First designed to aid US soldiers on incursions into Cuba and the Phillipines where the natives used similar sized machetes. Originally produced at the Springfield Armoury in 1909 and finished production in 1915. 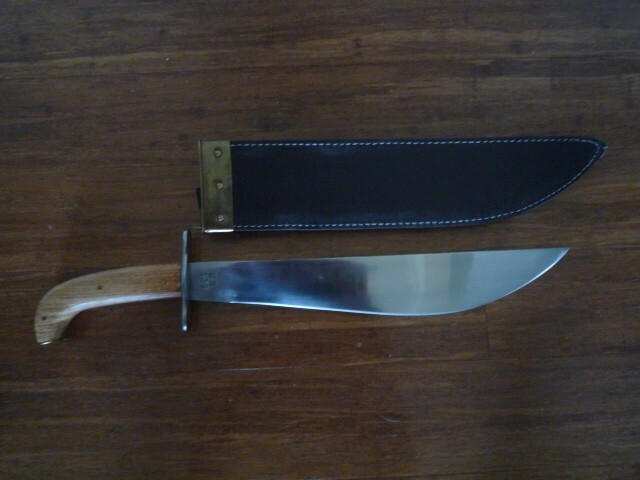 A varient of the M-1909 , the M-1917 Bolo knife was introduc3ed in 1917. 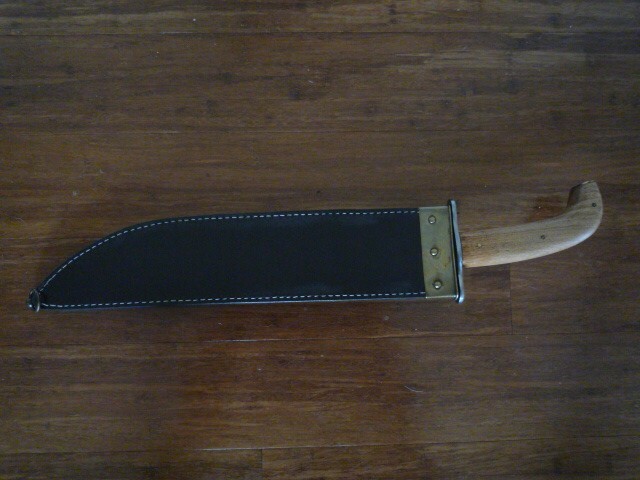 Has tempered high carbon steel blade 38cm x 6cm. Steel finger guard and wood grip. Overall length 48cm. Weight 0.7kg. The heavy leather scabbard accurately replicates the original Rock Island Arsenel issue with a slotting pin in the metal throat of the scabbard.